THIS IS ME helps you create a roadmap to see yourself more clearly. Practicing self-care is about honoring our bodies with all the choices we make. It’s about the little things we do each day that make us feel more energized, creative, and clear-headed. At last, there is a guide. THIS IS ME is inviting and inspiring. Tracey shares her journey to guide you to create your own roadmap for your self-care. Get THIS IS ME journal, along with a private coaching session, worksheets, and videos to guide you (and challenge you). Get the support you need to help you put your self-care first. Group coaching starts May 6th! what makes you feel more confident and committed to your self-care. Because no one cares more about your health then you do. 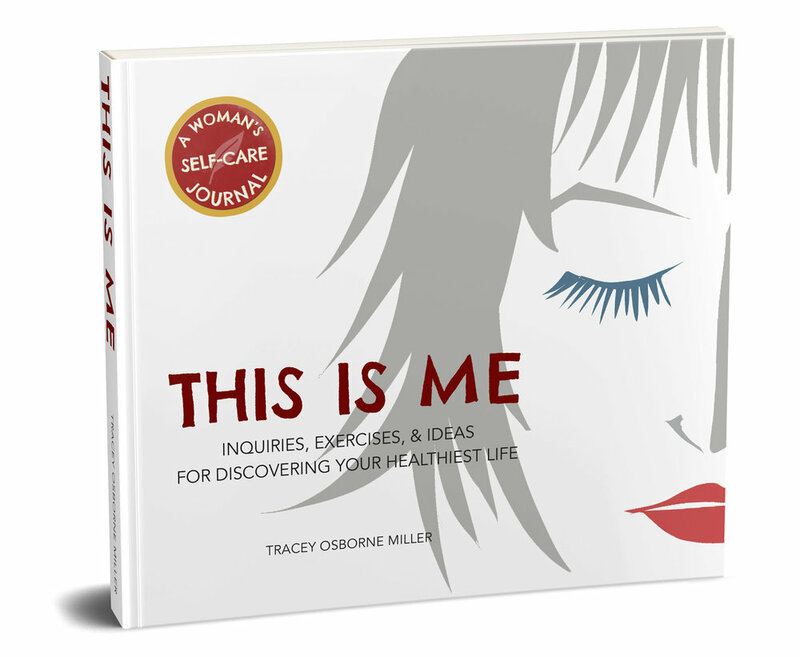 Health coach Tracey Miller created this self-care journal to help you feel more empowered, enlightened and engaged with your self-care. She shares her story of loss, fear and feeling disconnected to her body to help you bring your story to light. Learn more about Tracey’s Group Health Coaching Program starting May 6th. THIS IS ME helps you create a ‘dashboard” for your health.